Original. Thanks icrdr for the full version video. 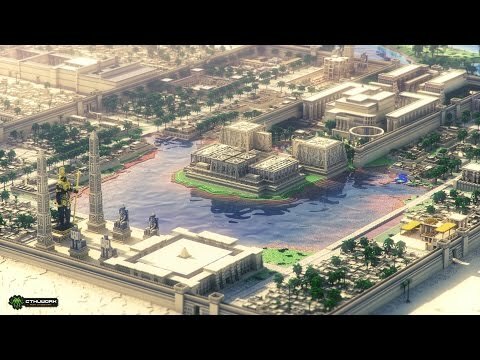 Last 96 days, 2800x2200 building area, 38 outstanding builders involved. National Day released! 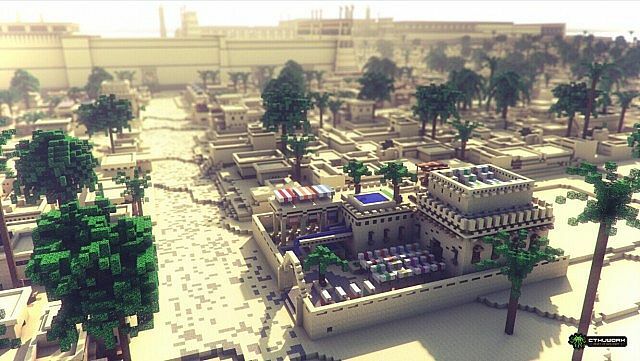 damn son, your builds are on point! 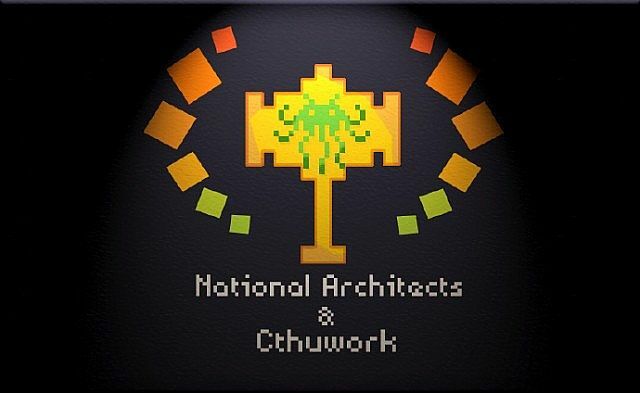 This project is built on the server: National architects & cthuwork. Is it an open server? if s what is the address? And they are the most powerful team in China. Most powerful team? I am looking for a server, havnt played in years. Any you know that you can recommend for epic building? Why is there no download? How can one create a paradise and not share it? It is beautiful ,great work by everyone involved . 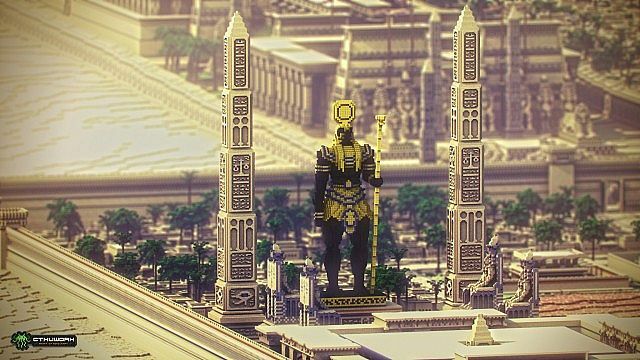 Pity there is no download , it would be great to be able admire and appreciate up close the scale and attention to detail of this project . This is absolutely beautiful!!!!! It simply took my breath away in just a second. The architecture, statues, temples, cities, palm trees....everything is stunningly beautiful. I do not have the words. Stunned and overwhelmed is about the best I can do. Obviously Diamond and a new subscriber. Oh my. Extremely well made! Great job guys! but will there be a download? 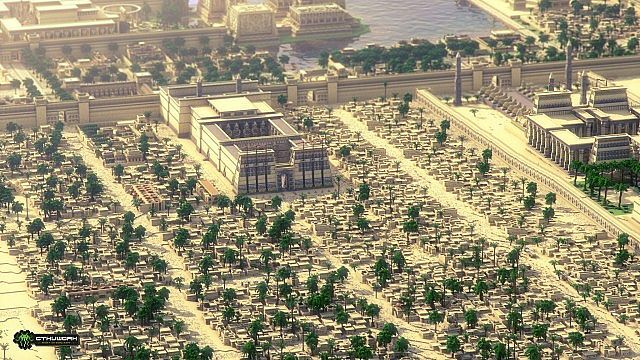 One of the best large city projects I've ever seen ! Just wow. This is amazing ! Mind = blown ! So that people cannot add on to it, steal it, or take ideas from the building styles. Will you add a download eventually? Because if not, your doing this for nothing-wasting a bit of your time. Don't worry about stealing, we can notice the resemblances easily in another project. And moderators are here for a reason. 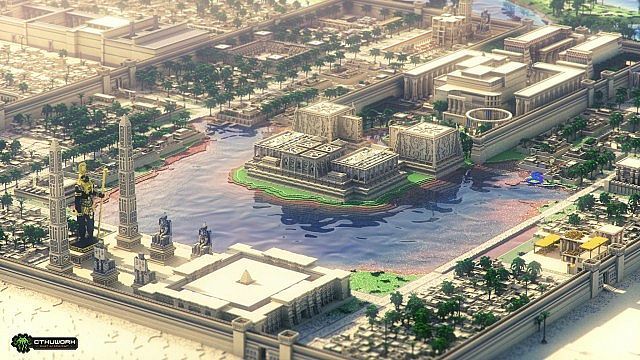 You know most people on PMC follow the rules that people post about their maps. If you just add that nobody should post your own work with their modifications, you won't have an worries about making it available. 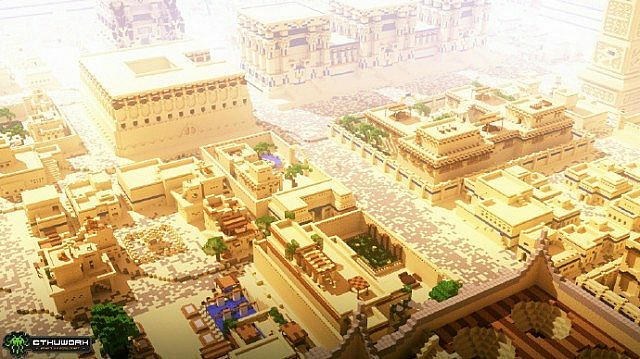 At the same time, however, Shotbow had created the MINEZ map, then posted it, then it was thrown all around the internet, many people claiming it to be theirs. Along with that, they probably only want people to see the project here so that we all know who made it. hopefully lots and lots of world edit was involved, otherwise i weep for your broken hands and eyes from all that building. I'm not on here often, but this is just amazing and took my attention. Nice work. 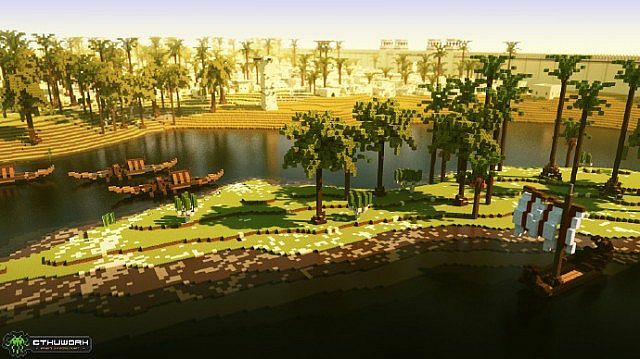 When I looked at the first render, I said to myself... - Is that Minecraft? - Nice stuff once again! Very cool, I say so. It looks nice! Where is the download? You guys are amazing. This is the best large scale project I've seen in ages. Is there a download or server? This is huge and super cool. 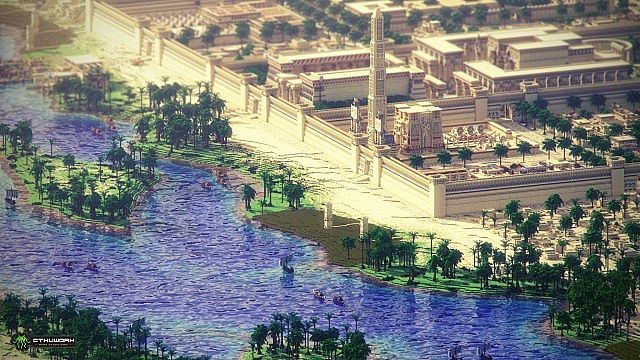 Lots of builders collaborating to make something this great, really worth giving a diamond. Wow the pure size and detail is incredible! Diamond! 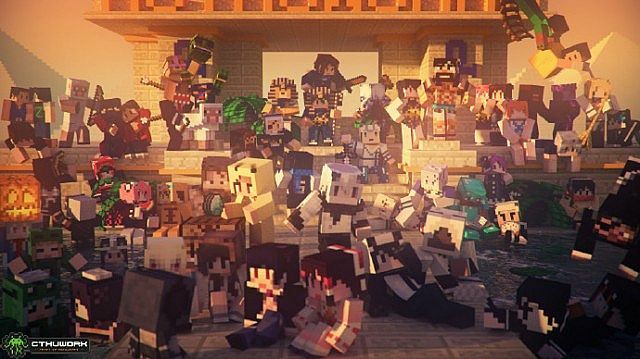 Please Upload this world. please please please. I wish i can see this world. 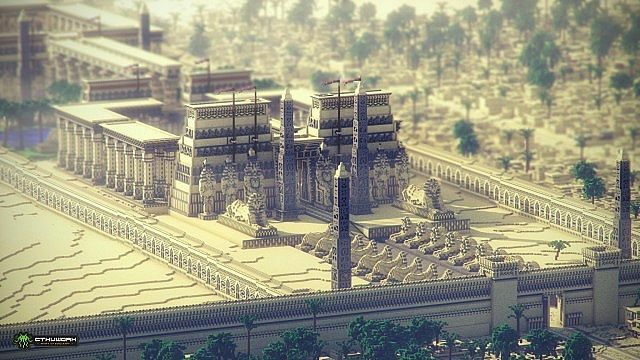 Fantastical work, its a real relief from all the nearly abstract builds these days. Also, great job on the realism.! 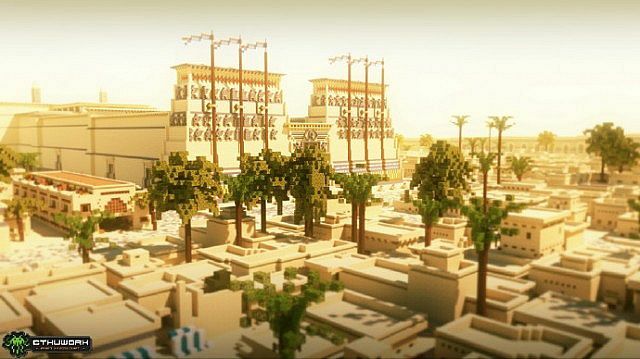 Best project I have seen in a long time and also the best Arabian City I have seen in Minecraft so far. 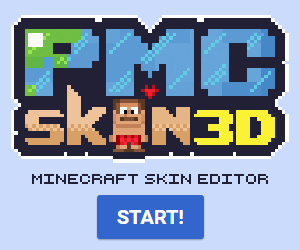 Is there a server where we can view it live? 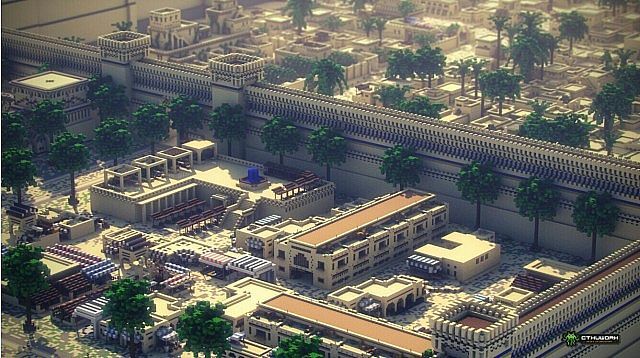 The standard definition of the Arab world comprises the 22 countries and territories of the Arab League, an area stretching from the Atlantic Ocean in the west to the Arabian Sea in the east, and from the Mediterranean Sea in the north to the Horn of Africa and the Indian Ocean in the southeast. It has a combined population of around 422 million people, with over half under 25 years of age. With over 87 million inhabitants, Egypt is a large country in Eastern North Africa and the Arabic speaking countries with its smaller part in the Middle East, making it the third-largest African country, and the fifteenth-most populous nation in the world.